Paying bills with BPAY® couldn't be much easier. Perhaps that's why, on average, over 5 million payments are made through BPAY every week for virtually anything – from household bills to flights online, school fees to pet care products and so much more. With BPAY you can pay from the security of Summerland Credit Union, on the 'net or over the phone. And you have control of your payments 24/7. 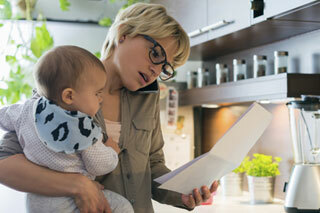 You can pay one off bills or schedule payments for later. How much and when you pay is completely up to you. It really is that simple. Don't be hard on yourself. Make life easier with BPAY. Virtually every bill that displays the BPAY logo and a biller code can be conveniently paid with BPAY – that means more than 15,000 billers accept payment via BPAY! Just check your bills for the BPAY logo. With your account balance updated instantly, you always know exactly where you stand. You can’t perfectly time everything, but at least you can perfectly time payments with BPAY® Schedule. 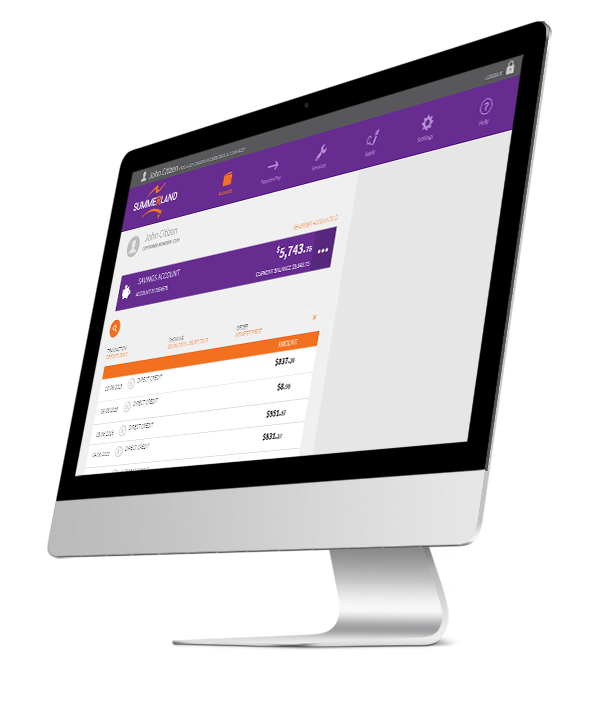 BPAY Schedule makes paying bills less complicated by allowing you to schedule your payments. Pay them immediately, or schedule a payment for later*. * Scheduled payments are subject to systems and funds availability. Some bills may require payments to be for an exact amount and/or made by a certain date. The biller may apply late payment charges or other penalties if paid after the due date. BPAY® is a trademark of BPAY Pty Ltd ABN 69 079 137 518. Check if BPAY is right for you by reading the terms and conditions available from Summerland Credit Union. In addition to paying bills via BPAY, another product, BPAY View, allows you to help save paper and the environment to receive and view bill statements via email from participating billers. BPAY® is a trademark of BPAY Pty Ltd ABN 69 079 137 518. As part of our ongoing commitment to the security of our customers' funds, we have implemented Secure SMS, a free and easy-to-use service available to all Summerland internet banking customers. Using the speed of text messaging, we're making online banking even safer by using your mobile phone to provide an extra level of authentication. This extra level of protection means you can have peace of mind when banking online. Make a real difference to the environment, change how you receive your statements from paper-based to electronic. There are many benefits to receiving your statement electronically via Internet Banking (IB), rather than it being printed & posted to you. Not using our Internet Banking? Join the growing number of people who are taking decisive action to help the environment with Summerland's eStatements. Every little bit helps. If you experience problem while trying to use the internet banking website, try using the information below to solve your problem. If you are using an older version of web browsing software then you may experience problems accessing internet banking. You can check to see if you are using the latest version of your browser by visiting www.whatismybrowser.com. If your browser is not up to date, you will need to update it. Below is a list of links to web sites for the most popular browsers. On these sites you will find links to download the latest version and/or instructions on how to update your browser. PC and MacOS users are also strongly advised to keep their operating system (Windows or MacOS) updated as this will also keep Internet Explorer/Safari up to date. Note: Internet Explorer 11 is the minimum version required to access internet banking, which is only available on Windows 7 or newer versions of Windows. When entering your password into the internet banking system, make sure your CAPS LOCK key is OFF and your NUM LOCK key on the keypad is ON (the lights on your keyboard). Also, if your password contains any uppercase letters, you must enter these exactly the same as you originally did when you first set your password up. The words "Cat" and "cat" are not the same to the internet banking password system. A simple way of checking if your password is being entered correctly is to open Notepad or Word, and type your password there. A malfunctioning keyboard, caps lock or num lock can effect how your password is entered, and viewing it this way lets you confirm you are entering a valid password. If you suspect that someone may know your password, login to internet banking and use the Change Password option found under the TOOLS menu to get a new one, or contact the credit union. Setting your Privacy setting to block cookies can also cause your password to fail, see the Can't get past the login page section below for details. Entering an incorrect password three timers in a row will lock your internet banking account until the next working day for security reasons. The lockout is automatically lifted after this time, or you can contact the credit union on 1300 802 222 during business hours to have it lifted manually. If your password is failing, or your session is timing out (you get logged out as soon as you log in), your PRIVACY setting may be set to high. The session timer is designed to protect your account from unauthorised access should you leave internet banking logged in while your computer is unattended. If this privacy setting is set to high, internet banking will not be able to operate correctly and your login will fail. internet banking will need this set to MEDIUM or lower for the login password to operate correctly. If changing this setting still does not help, try downloading and accessing the internet banking website using the Firefox browser. This browser handles cookies better where other browsers fail. To tell Internet Explorer that you trust the internet banking website and to allow it to load unhindered, you will need to add Internet Banking to your Trusted Sites list. Select INTERNET OPTIONS under the TOOLS menu within Internet Explorer and go to the SECURITY tab. Select the third icon that says TRUSTED SITES and select the SITES button. Press the CLOSE button provided and then the OK button to exit the INTERNET TOOLS page. Now when you go to the internet banking login page, your browser should list the site as a TRUSTED SITE down in the bottom right of the browser window, on the status bar. Your Internet Provider can also help you with the correct settings for use with their system. If your browser informs you that the Server is not responding or something similar, just try again in a few moments. Most of the time this is caused by congestion on the Internet. From personal experience, I have found the best time to access the Internet is between 3am and 12pm midday. This is when the local Internet services are least likely to be congested with traffic allowing faster access and fewer problems. If you cannot find the answer to your problem in any of the text above, please contact our eBranch on 1300 802 222 and we will try to solve your problem. If you have the option, try accessing the internet banking system again the next morning and you will usually find everything is working fine again. Another option is to try a different computer to see if the problem is caused by software on your computer. Do your banking anywhere with our smartphone app. 24 hour access to your accounts over the phone.